It may not be clear now, but some day it will all make sense. 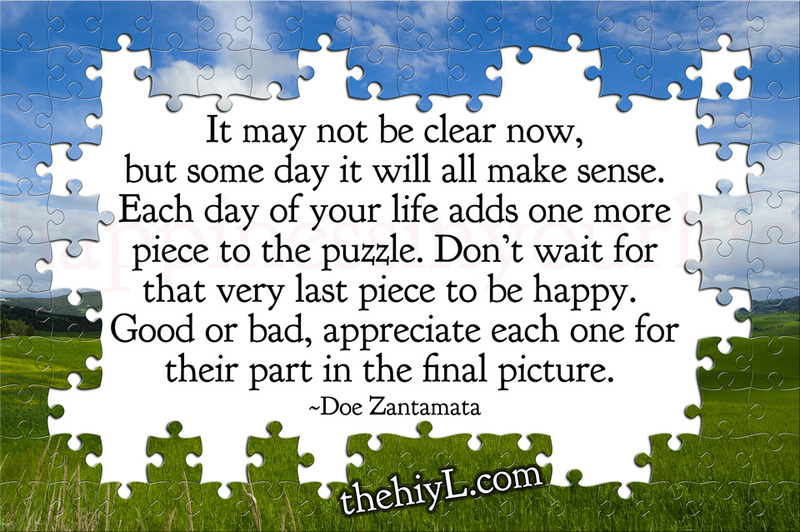 Each day of your life adds one more piece to the puzzle. 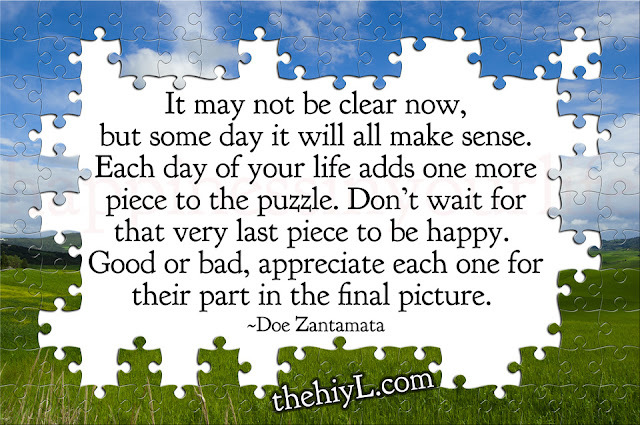 Don’t wait for that very last piece to be happy. Good or bad, appreciate each one for their part in the final picture.